The DAC-28 video logger provides a maximum of performance at a minimum of size. The unit is capable to connect to 4 Infrared Cameras at the same time (recording at standard frame rate of 5 – 10 Hz). Data download and unit control are executed via Remote Desktop Connection from any standard Windows PC. Running a Windows operating system, the unit is flexible to run other applications and connect external devices via standard USB connection. It is therefore open for any other automotive usage as well. 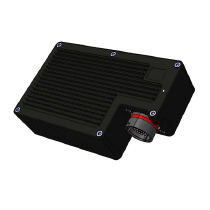 The DAC-28 Video Logger is FIA HOMOLGATED to be used with the FORMULA 1 standard ECU.